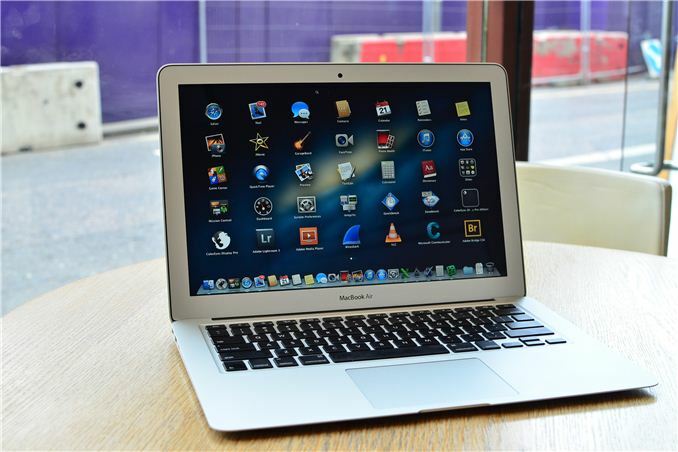 This morning Apple announced its 2014 MacBook Air refresh. With Intel's 14nm Broadwell SoC delayed, this mid-cycle update still uses Haswell ULT parts. The chassis and internal specs haven't changed, however the base CPU gets a slight speed bump. The 1.3GHz Core i5-4250U is replaced by a 1.4GHz Core i5-4260U. The extra 100MHz won't change much, you can expect a 0 - 3% increase in performance compared to last year's entry level model. The upgraded CPU option hasn't changed, and Apple continues to accept nothing less than Intel's HD 5000 (Haswell GT3) on any of its MBAs. The bigger news is that, hot on the heels of a solid financial quarter, Apple is dropping all MBA prices by $100. The entry level 11.6-inch system now starts at $899. I suspect Apple is making room for an eventual MacBook Air with Retina Display. That design is expected to be a launch vehicle for Intel's Broadwell, but it's unclear how Intel's 14nm delays will impact the schedule for that product. I was a fan of the 2013 MBA, and this price drop only makes the system more accessible. Unless you're holding out for a model with a Retina Display, the refresh is still a great buy. So you want 960x540 of working space? Apple will never go for providing a full 1920x1080 of area on a 13" screen....mainly for usability reasons. People would complain about everything being so small. I personally don't have an issue with it, but others do. I doubt that VERY much. Apple is doing the pixel doubling to keep the UI elements large enough. With 1728x1080 on a 12" screen you need to have really good eyes to work with this. This isn't "good", it's really bad. Despite Apple's specs not mentioning this, will Intel 5000/TB2 port support 4K monitors?